It becomes obligatory, at times, to cite an old cliché. The present socio-political scenario in India compels one to remember that history repeats itself and in doing so serves the role of a teacher― it throws a welcome light on the contemporary events and helps negotiate and overcome an otherwise baffling crisis. Indeed, quite a few recent events in India do appear in an altogether new perspective when seen in the context of one of the darkest episodes of modern world history― Hitler’s rule in Germany. It is true, of course, that the BJP-led central government has to work within the framework of a democratic set-up and, therefore, the conditions in India and Nazi Germany cannot be identical. But there are certainly signs that are strikingly similar. Nazism (or for that matter, fascism) resorted to a dual mechanism to consolidate itself. The repressive regime propagated lies and exerted brute force by an invidious exploitation of the state machinery, besides letting loose its rank-and-file cadres (under various organizations like SA, SS, etc.) on its political opponents. 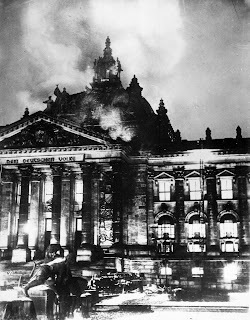 To make things clear and simple, I shall limit myself to refer to only one event that bears obvious resemblance to the present picture― the Reichstagfire (27 February 1933) and its direful consequences. 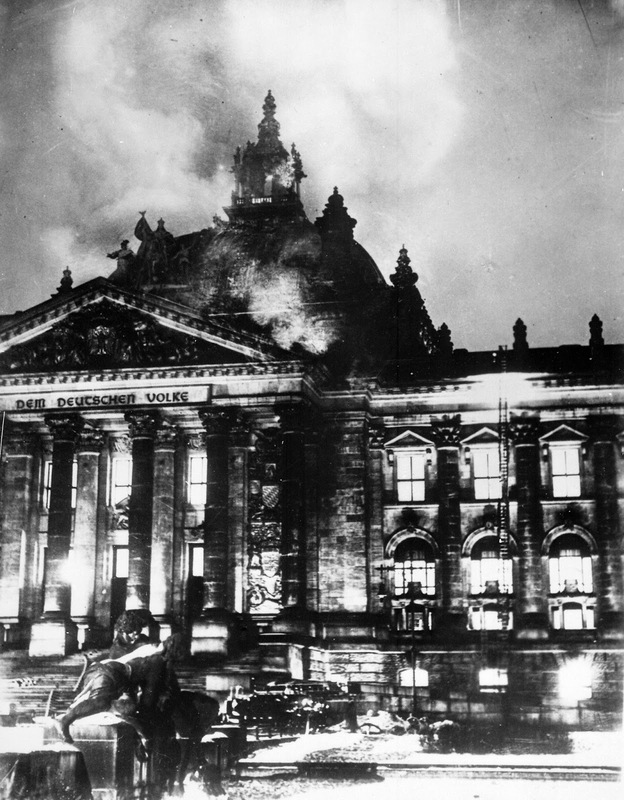 The attack on the parliament building in Berlin was regarded by the Nazis as an act of incendiarism and communists were held responsible for plotting to revolt against the German government. This event was used as a pretext to strengthen Hitler’s power before the elections in March. He passed an emergency decree to suspend civil liberties (which were never reinstated during Nazi reign) and ordered mass arrests of communists, social democrats and other progressives. Nazi newspapers helped his cause by propagating the ‘news’ of insurrection and moulded public opinion which eventually isolated the communists from the masses. Five communists (including Georgi Dimitrov, a member of the Bulgarian Communist Party and head of all Comintern operations in western Europe) were arrested in connection with the Reichstag fire and were tried in the Supreme Court at Leipzig. At the end of the trial, however, only one (Marinus van der Lubbe, a half-wit and formerly a Dutch communist) was found guilty and beheaded by guillotine. The 2 rest were acquitted and sent to the then USSR (after a sustained effort of the anti-fascist forces of the world) where they were greeted as Soviet citizens with immense enthusiasm. The communists had always believed that van der Lubbe was a part of the Nazi conspiracy ― a poor Faustus who stood before the court but the Mephistophilis behind him had disappeared. The proceedings of the trial can be regarded as a battleground of ideologies where Dimitrov had to defend himself (the Court rejected all the eight defence counsels of his choice) at all odds in a trial which was far from being fair. Dimitrov, in spite of being kept manacled in a prison known for torture, took the opportunity to expose the witnesses (including Goering and Goebbels) and the prosecutor and gave an impassioned call for a united front of all progressive forces against fascism. However, since 1967 onwards the 1933 verdict has been overturned by several courts in Germany and van der Lubbe has been posthumously acquitted by the reason of insanity and under the general law passed in 1998 which states that whoever convicted under the Nazis is officially not guilty because the laws of Nazi Germany flouted the basic concept of justice. But all said and done the Nazis were successful at least for the moment― they had staged a drama and managed to justify their action to come down heavily on the political opponents by effective propaganda. It was an orchestrated effort to silence the voice of dissent in which agencies, both public and private took equal and active part. Keeping in mind the Leipzig trial let us now turn, one after another, to three recent incidents that attracted much attention here in India. 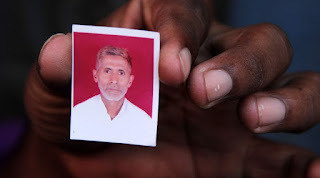 On 28 September 2015 two young men, using the local temple's public announcement system in Dadri, a small town in Uttar Pradesh, announced that the family of Mohammad Akhlaq had killed a cow and consumed beef on the occasion of Eid. This was the immediate cause why a violent Hindu mob broke into Akhlaq’s house in the middle of that night, dragged all the members of that family (including women, young and old) out into the open and assaulted 3 them. The police arrived an hour after Akhlaq had died on the spot and Danish, his son, critically injured. The family had been living in Dadri for almost seventy years but the neighbours did not even think twice before launching a brutal attack. The amicable feeling towards a neighbor was relegated to the background as the ugly head of communal hatred raised its head. The event aroused national attention and caused enormous debate. Soon it gained political overtones too when a man, the son of a local BJP leader, was arrested in connection to the case. Not only that, it was also confirmed later by the forensic experts that the meat found in the refrigerator in Akhlaq’s house was not beef but mutton. Dadri incident came to be seen as one of the many recent examples of the BJP-backed heinous design to use rumour to gain political advantage by dividing the nation along communal lines. It is part of their agenda that the Muslims (and other religious minority communities) will have to accept the diktat of the Hindutva brigade to stay in India. This goes against one of the cardinal points of the Indian ConsCtuCon ― secularism. 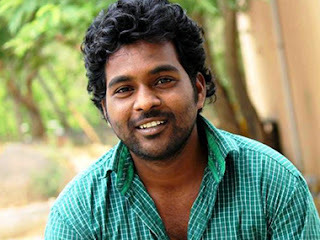 Rohith Vemula, a Ph.D student at the central University of Hyderabad and a member of the Ambedkar Students Association (ASA), had to bear the brunt for participating in a demonstration against the death penalty for Yakub Memon (a convict in 1993 Bombay bombings) on 3 August 2015 at the campus. Following the complaint made by the students’ wing of the RSS, ABVP, to the Vice Chancellor, P. Appa Rao, that the students of the ASA were involved in “casteist” and “anti-national” activities, Rohith and four others were suspended and barred from their hostel. As a consequence of severe financial crisis Rohith (as his scholarship was also cancelled) committed suicide on 17 January 2016. The ABVP leader, Nandanam Susheel Kumar, who had taken an active role against ASA and who claimed that he was admitted to a hospital after he was roughed up by around 40 ASA members was later found to have been operated for an acute appendicitis. Besides, the role of the BJP MP from Secunderabad and the Union Minister Bandaru Dattatreya and the Union HRD Minister Smriti Irani behind the suspension of the students also came to light. 26-year-old Rohith’s suicide sparked protests and outrage across India and gained widespread media attention as yet another case of discrimination against Dalits and low castes in India in the BJP regime. It was apprehended that the BJP was not only against the Muslims (and Christians) but also against the Dalits who fall under the general category of the Hindu community. But why is it so? One must understand that the right-wing political philosophy of the RSS-BJP strongly resembles Brahminism which gained and held supremacy only by oppressing the so-called lower castes of the Hindu population in a feudal set-up. In fact, intercaste tensions within the Hindu society were often the results of an unconscious class conflict that went on for ages. Therefore, the attempt to present a homogenized Hindu society is to ignore the dynamics of a society ruled by a powerful few. It was against such an unjust system that Bhimrao Ambedkar (and other activists both before and after him) had waged a life-long struggle. Ambedkar thought that the Hindu society was a conglomeration of castes without any binding ideological force. No wonder then that the RSS and the BJP would run an orchestrated campaign based on lies against the Ambedkarites like Rohith. Kanhaiya Kumar, the 29-year old President of the Jawaharlal Nehru University Students' Union and a leader of the All India Students Federation (AISF), the student wing of the Communist Party of India (CPI), was arrested on the charge of sedition by the Delhi police on 12 February for raising anti-India slogans in a rally to protest the hanging of Mohammed Afzal Guru convicted for the Indian Parliament attack in 2001. The arrest was made following the complaints lodged by the National Secretary of the BJP and an MP, Maheish Girri and members of the ABVP. A nationwide hysteria was created when the BJP started branding a section of the JNU (that included both teachers and students) apologists for the independence of Kashmir (hence anti-Indians). Audio-visual clippings of the event were also played on television channels as clinching evidence for Kanhaiya and others’ anti-national ideologies. Emotions ran high as the nation was caught in a debate between the ‘nationalists’ and their opponents (who were singled out either as Muslims or communists). Demands for closing down the JNU were also raised citing it as a hotbed of sedition run on the taxpayers’ money. Kanhaiya was even beaten 5 up by some lawyers (read the BJP cadres) inside the courtroom where he was brought for trial. On 2 March 2016, however, he was granted interim bail for 6 months by the Delhi High Court on a 10,000 rupee bail bond and an undertaking that he would not "participate in any antinational activity” (though the judge had said that there were no recordings of Kumar raising anti-national slogans). Interestingly, out of the seven videos of the event sent to forensic laboratory, three crucial ones were found to be doctored including a clipping of a news channel. This incident, in fact, has brought into focus many issues at the same time: chauvinism, suppression of dissenting voices, organized propaganda (where a section of the media joined hands with the ruling party) based on false and/or doctored reports, etc. Best efforts to commence an academic debate surrounding the topics of either nationalism in its totality or Kashmir issue and the hodgepodge trial of Afzal Guru got drowned in a momentary frenzy of blind nationalism. Of course, the BJP was behind all this. It wanted only to broaden its political base by staging this drama. And many apparently innocent Indians could not keep their cool and judge things properly. These three incidents manifest an important characteristic of the RSS-BJP: their attitude towards the religious minorities, the Dalits and the Leftists. Add to this their treatment of the rationalists like Govind Pansare, Malleshappa Kalburgi and Narendra Dhabholkar or doctors like Saibal Jana. Depending on the state machinery and a fanatical band of cadres the Sangh brigade has launched a war on those who resist their right-wing campaign. What is equally important is their simultaneous attempt to use rumour and propaganda to mould public opinion in their favour. But it does not become a matter of discomfiture for them when a particular venture receives a jolt on account of its falsity. In fact, they will continue to make the most of the situation in order to broaden their political base among the middle-class population. And it will not be much difficult particularly when the mood of desperation is acute among the so-called educated Indians and the opposition (both ideological and political) is somewhat disarrayed. What needs to be reiterated at the end is that this undemocratic contingent has a conscious plan to turn India into a monolithic structure decimating the diverse elements that make it so unique in the whole world. There are plenty of signs that suggest Nazi Germany or Fascist Italy or Spain may not always remain matters of distant past. And it will indeed be a living reality soon unless we stand guard and fight a relentless baOle raising the determined slogan ― “Fascism shall not pass”.